Alexandrite is a fascinating gemstone distinguished by its remarkable colour changing features which vary from green to red in different light. In fact this stunning gem is able to change hue so drastically that it is almost like owning two unique jewels for the price of one. Arguably named in honour of the future Tsar Alexander II of Russia. 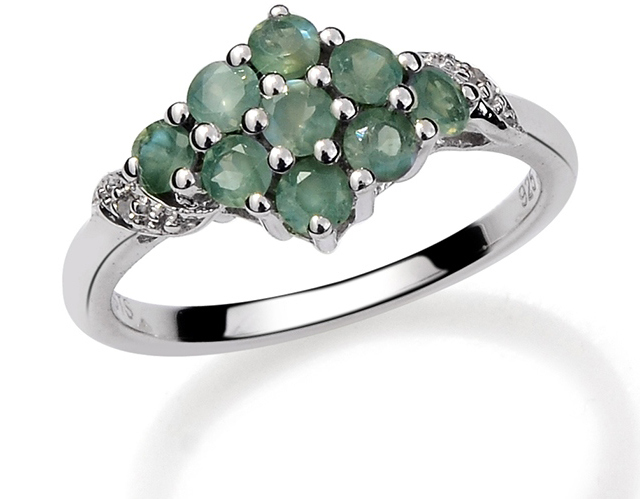 alexandrite was discovered in the Ural Mountains of Russia in the 1800’s. This striking stone’s ability to change from a bluish green to a berry red also made it highly popular in Russia, since these are the colours of the Russian Imperial Guard. The capacity for colour change (depending on different lighting) that these outstanding gems display is called ‘the Alexandrite Effect’. Scientifically, this is termed pleochroism - an optical occurrence causing the grains of the stone to appear as different colours when observed at changing angles..
Alexandrite is an outstandingly beautiful and rare gem - its unforgettably dramatic colour transformations are nothing less than mesmerising. Especially for jewellery connoisseurs, this dazzling gemstone is a must-have for any prized jewellery collection. The rarity and unique colour changing effect of alexandrite make it one of the most popular and sought after gem stones today. Natural alexandrite stones which are finely faceted and exceed one carat are among the most valuable and expensive gems in the world.